Usually when you or your doctor take your pulse you would use a blood pressure cuff, a clip on one of your fingers or even just counting the beats on your neck the old fashioned way. 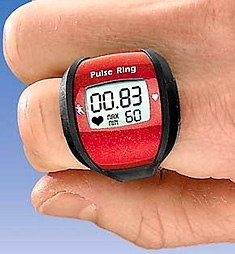 Taylor Gifts is bringing the pulse counting business into the 21st century with its heart rate monitor ring so you can always tell what your rate is with just a quick glance. While its bright red design won’t win any style awards it does get our approval for displaying your pulse in large enough numbers (between a range of 30 to 250 beats per minute.) If you want to use the ring in conjunction with an exercise routine the ring also features a stopwatch mode and a timer mode so after you do your workout you can check back and see what your vitals are like. 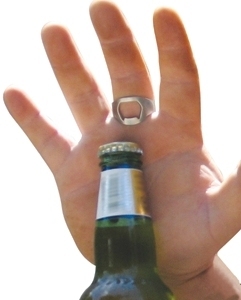 This picture is pretty self-explanatory, but just in case you don’t make the connection this is a ring that has an opening on one side of it that works as a bottle opener. 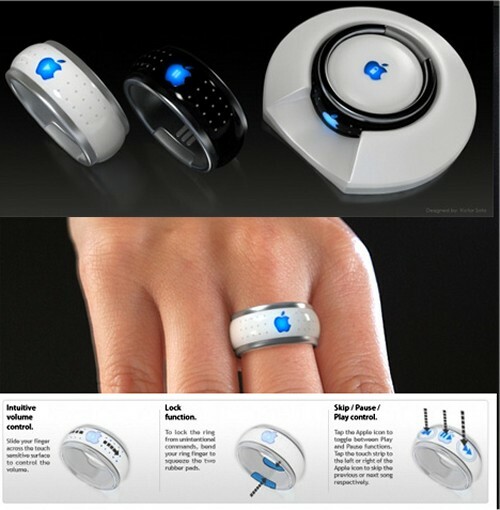 A little torque while wearing the Ring Thing on your “social” finger and you have solved the problem of always having to look around for an opener or some particularly strong surface area every time you want to open a bottle. I have to say that this looks a little more sanitary than the bottle opener sandals we posted about in early September, but it may require some strong fingers. Finally some bling that has form and function, adn to top it off it only costs you around 10 bucks. The Ring Thing comes in sized from 9 to 14. Thanks for the suggestion, Jeff! 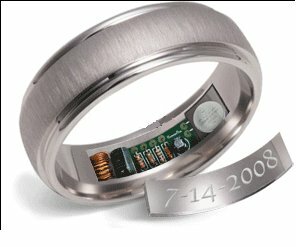 Tell the makers of the Remember Ring the date of your anniversary, and they will build it into the electronics of this finger gadget to remind you of the big day, each year. Every year thereafter at 24 hours before the anniversary this ring will heat up to 120 degrees Fahrenheit for just 10 seconds. The 120 degrees is enough to get your attention but is not supposed to be hot enough to actually cause a burn. It gives you this reminder every hour on the hour for the 24 hours prior to the date set to help assure you will never forget the big date. 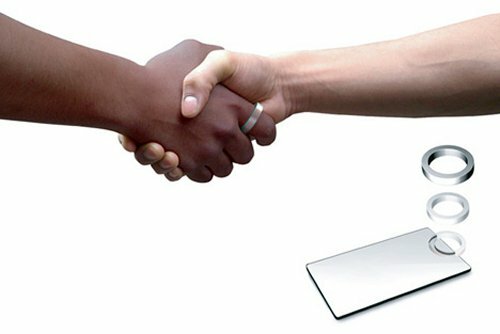 The Remember Ring charges it’s battery through the heat from your hand throughout the year, so the battery should not go dead, comes in seven different styles, is completely waterproof and has lifetime warranty.